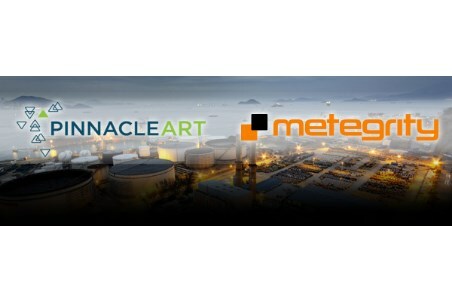 PinnacleART, a global leader in designing, implementing, and maintaining asset integrity programmes, and Metegrity, an asset integrity software company, are strategically partnering to improve the mechanical integrity (MI) programme of a natural gas service provider’s operations in the southwest region of the US. The client’s MI programme has been experiencing integrity-related issues and was recently flagged by OSHA for non-compliance. PinnacleART will be using Metegrity’s Inspection Data Management System (IDMS), Visions®, to effectively develop, track, and manage the facility’s programe. In February of 2018, PinnacleART performed a multi-day assessment of the client’s MI programme and delivered an assessment report outlining programme gaps. Within this report, PinnacleART identified the steps the facility needed to take to achieve MI compliance and mature their current practices and systems. One of the recommendations included getting an Inspection Data Management System (IDMS) in place, and PinnacleART provided recommendations for several IDMS software options. The client selected Metegrity’s Visions IDMS based on the software’s user-friendly interface, ease of navigation, and focus on MI compliance. Additionally, the client found that Metegrity’s Visions software was the ideal fit for tracking asset mechanical and inspection data; flagging and managing asset nonconformance; and planning future inspection activities. PinnacleART is currently working on the pilot MI implementation for one of the client’s gas processing facilities. PinnacleART will implement the Visions database and deliver an implemented MI programme by June 2019. PinnacleART will then scale to support the rest of the client’s fleet of assets over a two year period.